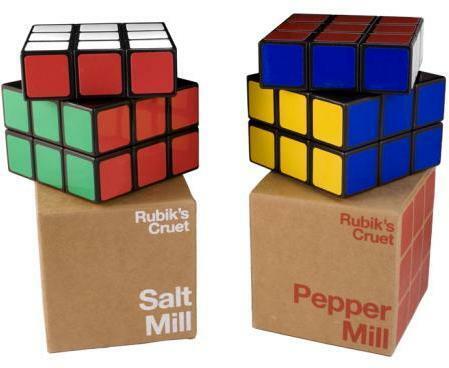 Collection of 'Creative Rubik's Cube and Cool Cube inspired Products and Designs' from all over the world. 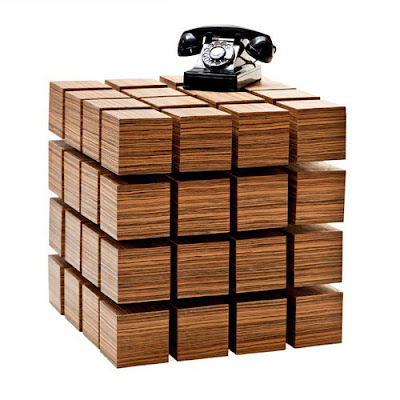 Rubik's Cube Lamp: The Rubik's cube light lamp by E Pautz takes its inspiration from the old Rubik's cube. It's available in two versions: colored and transparent; the lamps have the mixing ability to display unique light colors. 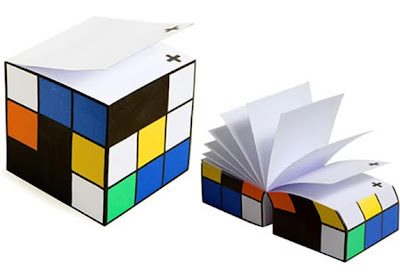 Colorblock Note Cube: It's looks like a Rubik's cube, and measures 3.5 x 3.1 inches and has about 680 sheets of Rubik's cube themed paper. 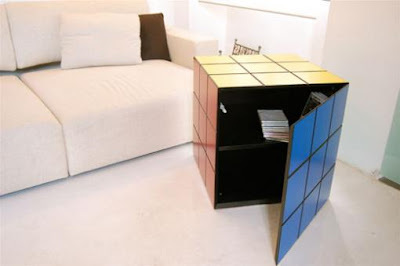 Rubik's Cube Wooden Furniture: Designed by Umberto Dattola, its inspired by the Rubik's cube. Its made from fibreboard, and can be used to store small items. Rubik's Cube Salt and Pepper Set: A cool salt and pepper mills for your dinner table. 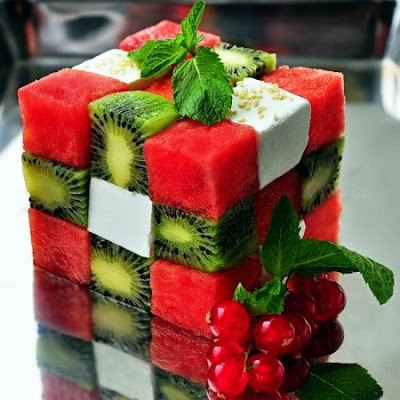 Rubik's Cube Dessert: A delicious looking Rubik's cube shaped dessert. Rubik's Cube Bathroom Design: This bathroom cabinet design seems to take its inspiration from Rubik's cube comes from Delpha. 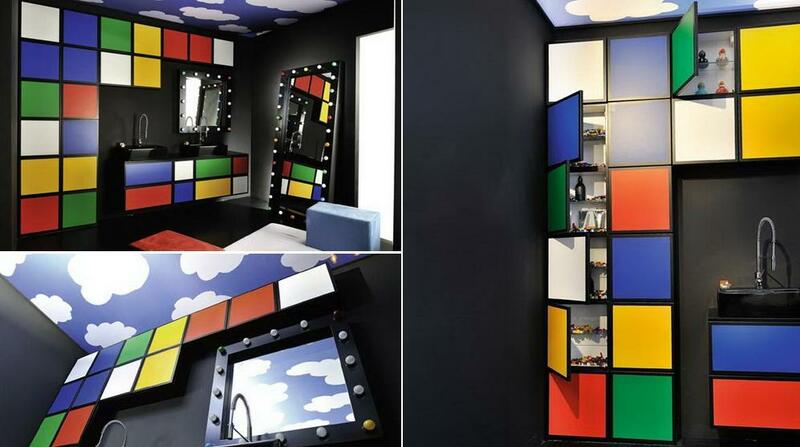 This innovative bathroom concept design takes a new approach to the bathroom cabinet. 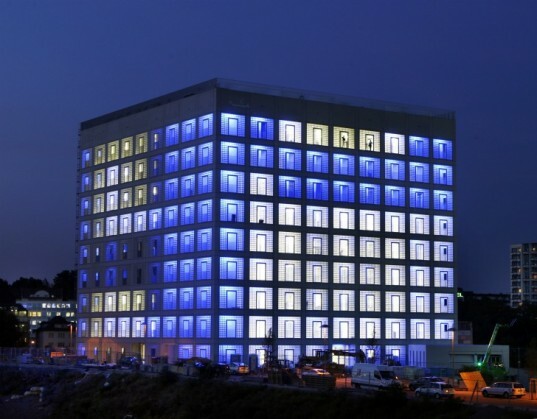 Rubik's Cube-Inspired Library: Stuttgart's Stadtbibliothek Library designed by Eun Young Yi, takes on the form of an oversized two-toned Rubik's cube. 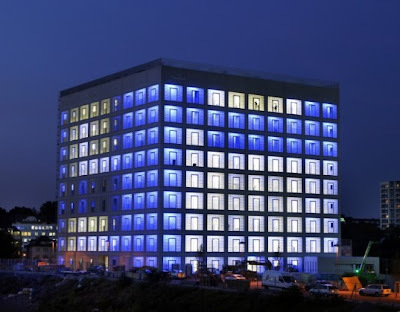 The design looks like a formation of colorful glowing cubes. 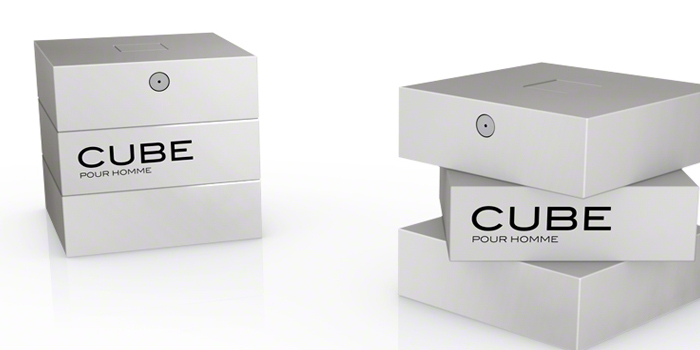 Cube Pour Homme: Designed by Mike Flache, this Cube Pour Homme a cool fragrance bottle design combines minimalist form with functionality. To open or close the fragrance bottle, just twist the object. 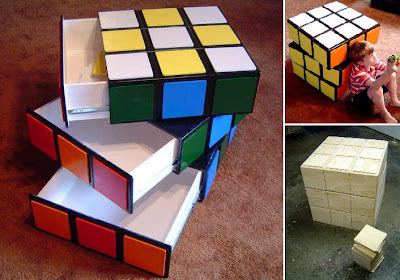 Rubik's Cube Drawers: Created by Instructables' member Makendo, these drawers resemble a Rubik's cube. 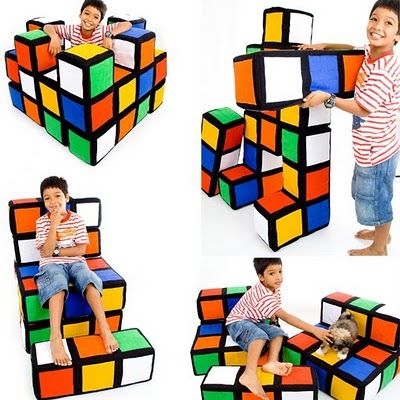 Modular Rubik's Cube Furniture: Mobile module format developed by Mariana Alves and Felipe Duarte Falcon Marcelino are colored cubes of foam and fabric attached to each other via small plastic clips. 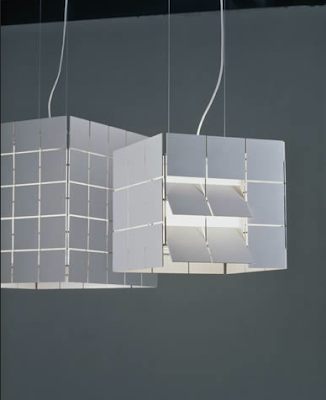 Cubrik: Created by Antoni Arola, these lamps of 36 and 100 plates owes its name to the famous Rubik's cube. Float Table: It's made of 64 cubes strung together with wire, but mostly held in place by magnetic force. 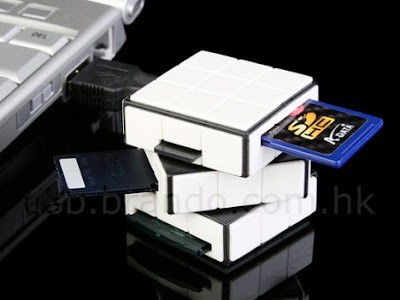 Rubik's Cube Card Reader: This card reader takes on the form factor of a Rubik's cube. 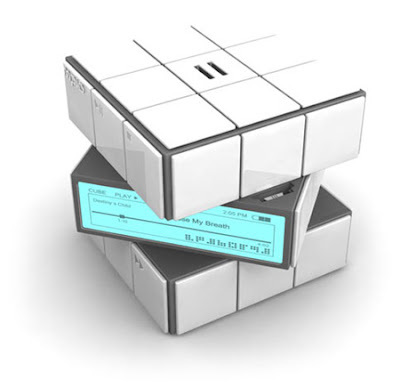 Cube MP3 Player: The way to play music in this MP3 player is similar to playing with the cube puzzle. 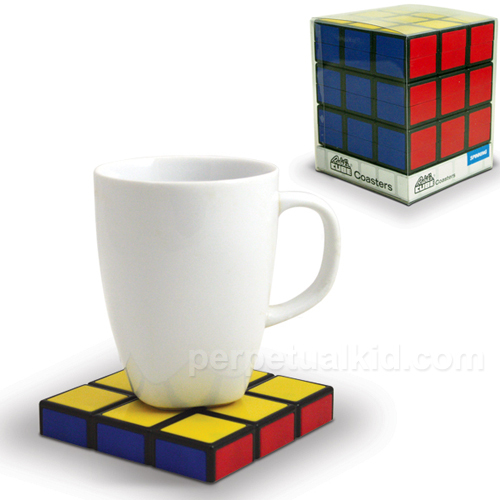 Rubik's Cube Coasters: These coasters can be arranged top of each other to recreate a fully completed looking Rubik's cube.